A visit to Eborcraft’s York manufacturing base by a major blue chip company involved in oil exploration support, resulted in a furniture order being extended to include wall panelling in complementary veneer. 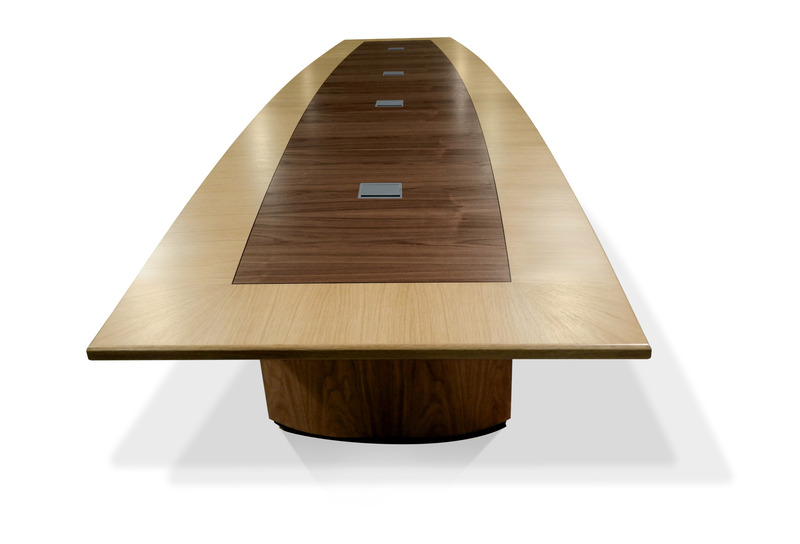 The original order was for a 5.6m boardroom table to seat 20 people, together with a matching credenza, both finished with oak and walnut veneer. To meet the client’s requirement to accommodate audio-visual systems, Eborcraft inset wire management modules into the table top and fitted aerofoil bases to conceal the wiring. The wall panelling in oak veneer completed the boardroom’s co-ordinated appearance.